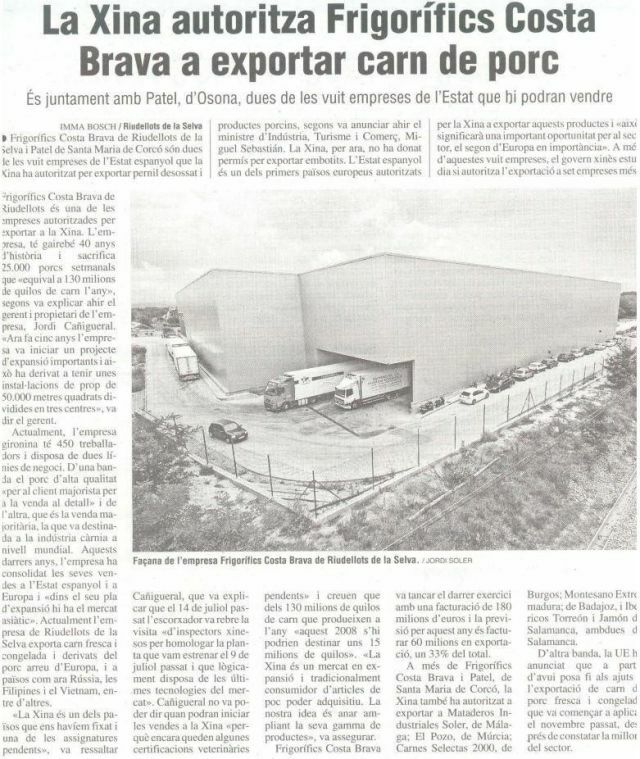 Frigorífics Costa Brava has been approved by the Chinese authorities to export boneless ham and other pork products. The Asian market, in constantly evolving, has become a strategic market for Costa Brava, which since 2003 has iniciated an important expansion project and internationalization. You'll find the full new here.